Security and regulatory compliance continue to be top cloud concerns, and for good reason. It’s hard to trust something you can’t see and have little control over. And yet technology providers keep trying to push customers to the cloud – their cloud. The reality is, you can improve your security posture and reduce compliance risk in the cloud. However, you have to choose the cloud deployment model that’s right for you. Public cloud – Deploying a customer engagement platform in a public cloud, such as Amazon Web Services (AWS), delivers scalability, reliability and flexibility via a multi-tenant architecture. This deployment option offers you the least control but an experienced technology provider can implement your platform with the proper risk mitigation controls. Virtual private cloud – If your organization has a low risk tolerance, then a better option may be a virtual private cloud deployment. In this scenario, you can still leverage the public cloud’s scalability, reliability and flexibility, but the platform is deployed in dedicated instances, thereby reducing security risk. Hybrid cloud – If a virtual private cloud still presents too much risk to your organization, then a hybrid cloud deployment may be the way to go. A hybrid deployment leverages both a virtual private cloud and on-premises infrastructure, thereby providing IT with the control of critical data assets that it desires while taking advantage of the cloud’s processing power. Regardless of which deployment option you choose, you should have an opportunity to improve your security posture and reduce your regulatory risk. However, that will only be the case if you work with a provider that has a history of implementing and running hosted deployments. Look for a customer engagement platform provider that understands how to architect a cloud environment that meets your specific requirements and is as concerned about security as you are. Your move to the cloud should be driven by your risk tolerance and business benefits – not the provider’s sales strategy. 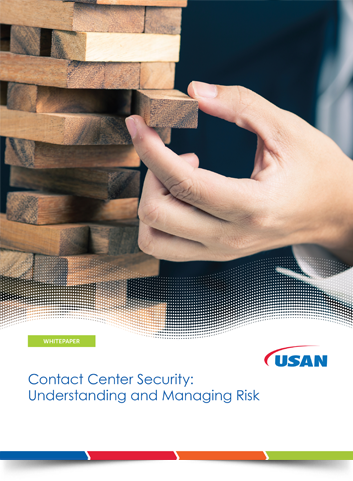 Download this white paper to learn more about security in the contact center.